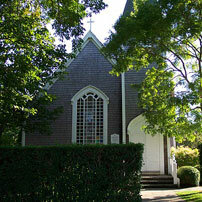 For questions and more information about memorial services at Siasconset Union Chapel, please contact us. The Columbarium has an administrator and is governed by the Siasconset Union Chapel’s Board of Trustees. The Siasconset Union Chapel has two Columbarium Gardens. The East Garden has two walls, with 21 niches on the south wall and 16 niches on the east wall. There are also 16 in ground niches in the garden. The West Garden also has two walls consisting of an additional 195 niches. Each niche provides space for two bronze urns. The East Garden urns measure 6”x 41/2”x 3”, and the West Garden urns measure 81/2”x 6”x 3”. A few niches are designed as singles. The urns, after interment, are permanently sealed in these niches. A niche space may be requested by letter or e-mail for individuals, or for a deceased partner, parent, or child. Applicants must be 40 years of age, a worshiper at the Chapel, or a resident of ‘Sconset, permanent or seasonal, present or former. Upon approval, a check made out to the Siasconset Union Chapel, is sent to the Columbarium Administrator. The current fee (2012) for reserving a half niche (one person) is $2,500. A meeting can be arranged in the garden to choose a niche. An acknowledgement letter will be sent for the purchaser’s records. An additional Interment Fee may not be pre-paid and includes the required urn, plaque, opening & resealing of the niche. The current fee (2012) is $1,000. A standard bronze name plaque will be affixed to the flagstone covering the niche. Completion of the plaques can take up to 6 weeks. Each plaque will contain the first, middle (or initial) and last name of the deceased, and the dates of birth and death. Titles and other wording are not permitted. The interment dates are coordinated with the Chapel calendar, even if a memorial gathering is only planned in the garden. Arrangements for obtaining the urn are made with the Columbarium administrator. There are no annual fees but donations to the Columbarium upkeep are always welcome. Reserved niches may not be sold or transferred to other parties by the person reserving the niche. As of last year , there is now an option for direct in ground internment of ashes. The fee is $500 to reserve a designated space in the columbarium. The current internment fee for this option is $1,000 , which includes a plaque on the new stele as you enter the west garden. There is also a pet columbarium The pets ashes may be scattered in a separate space in the west garden . A Memory log is kept in the Chapel. 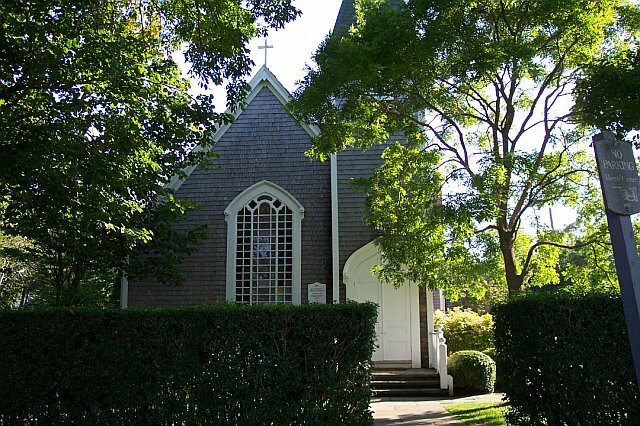 No installation of memorials such as plants, trees, sculptures, adornments or appurtenances will be permitted except with the approval of the Chapel Board. On a temporary basis, flowers (no glass), shells, flags and other small items are permitted on the niche. Should the above conditions cause hardship or distress to someone who wishes to be interred in the columbarium, he or she may contact the Columbarium Administrator or the Trustees and the latter will make a final decision. View contact information and directions.